This Jar of Bolts: Extent of the Mess in Your 3D Part Library? If Only This Jar of Bolts Was the Extent of the Mess in Your 3D Part Library. If you’ve got a “swimming pool of parts” for a 3D part library, we can help fix that. For years, this little mayo jar was my perfect analogy to explain why engineering teams needed to better manage their component parts. The story was perfectly simple: this was just like the jar of random nuts and bolts everyone has in their garage. You toss the extras in there when you’re done with a project, and when you’re in need of a fastener, you just dump it out and grab one that works. This simple analogy was a perfect fit for engineering teams too. They’re not dealing with physical fasteners though; engineering teams rely on digital components to build their larger designs and assemblies. 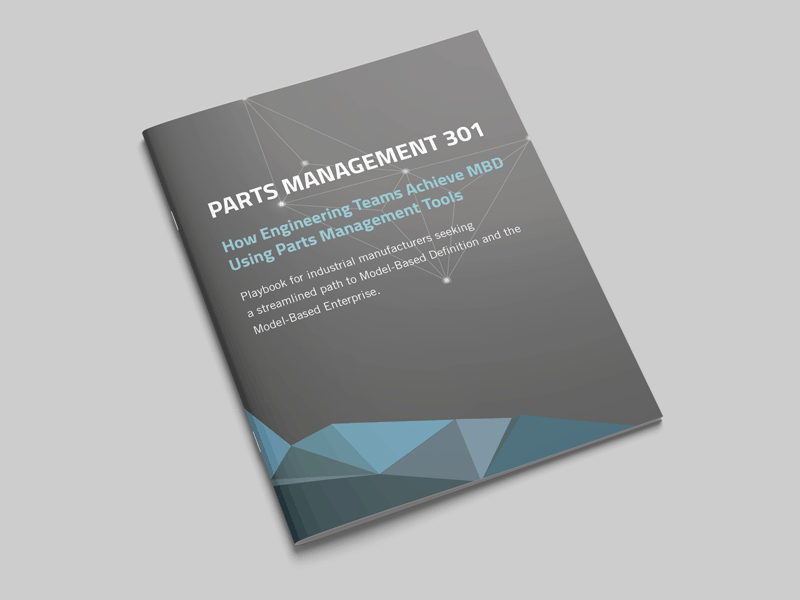 Most teams have a shared storage location to keep their digital parts, if they’re really sophisticated, they have a PLM system to index and “check-in” parts for designs. This is where my analogy began to breakdown. You see, when an engineering manager looks at that little jar of bolts, they don’t see a jumbled mess of mismatch of nuts, bolts, washers and screws. They don’t see a mess because they can SEE the parts! Sitting right here I can probably count everything in the jar without dumping it out, I can see a wingnut and a sheet metal screw. It’s clear – you can easily see everything in there! To an engineer, this “problem” is very manageable and not analogous to the digital parts problem they’re facing. They have WAY more parts to deal with and it’s much more difficult to actually see the parts they have to choose from. An accurate analogy would be a swimming pool full of nuts and bolts – and it’s covered with a tarp. What may have quietly begun as a “jar” of bolts has grown into a monster and here’s why. As organizations grow and add people, they are adding variables to their process – these variables are humans. We all have our own knowledge, style and preferences when it comes to selecting and specifying a component for a design. Jim likes XYZ company for bolts and Bob likes to them from ABC corporation. We also have our own systems of naming and storing those parts. Jim’s 1/4×20 bolt is called an XYZ1420 while Bob’s is called a 2520ABC. Multiply this by 100 engineers and thousands of parts per year and you have a real issue. It’s big – we’re talking millions of parts now. No visibility – It’s tough to get a good look at the problem – you can only see what’s on the surface. You have a swimming pool full of miscellaneous parts – now what? That’s where our seasoned experts and strategic parts management tools can really help. Our team is like the “1-800 got junk” for engineering teams. We’ve seen it all. We’ll start with a phone consultation to learn more about your company and your parts issue. We’ll set-up a workshop to come meet with your team and really dig in to learn about your specific issues and your IT / engineering environment. Our consultants will deploy our parts management tools to index, sort and clean up your various parts databases. Moving forward, you can use PARTsolutions Strategic Parts Management to find, reuse and control engineering components, preventing this mess from ever returning again.